With mutual funds gaining traction among retail investors, asset management companies have filed draft offer documents with market regulator Sebi for as many as 64 new schemes, so far, this fiscal. 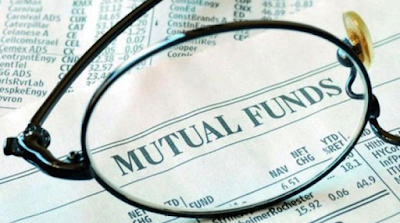 Equity, debt, retirement, hybrid and fixed maturity plan (FMP) are some of the themes for which mutual fund houses have filed the applications. ICICI Prudential Mutual Fund (MF), IDFC MF, Mahindra MF, HSBC MF, HDFC MF, Birla Sunlife MF, Tata MF, Axis MF and SBI MF are among the fund houses that have filed the offer documents for new fund offers (NFO) with Securities and Exchange Board of India (Sebi). Interestingly, some mutual fund houses are keen to launch NFOs with Hindi names so that investors in rural areas understand the objective of the schemes in a better manner. The move is being seen as an attempt to move away from the old tradition of English names for such schemes. In the current fiscal so far, draft documents for 64 NFOs have been submitted with Sebi. Of these, 19 draft offers were filed last month alone. Of these 64 NFOs, some of the funds have already been launched by asset management companies after getting clearance from Sebi. In comparison, about 180 draft papers were filed with the capital markets watchdog in the preceding fiscal (2015-16). Experts believe that AMCs are approaching Sebi with new NFOs as there has been demand from retail investors for mutual fund products. Besides, the robust response has been received from investors in the recent fund launches. This demand from retail investors for mutual fund products has taken investors base to touch a record 5 crore at the end of September. However, there are few draft papers filed with Sebi in this fiscal as compared with the preceding year.